Huntkey Charging Devices Showed Its Charm Global Sources Electronics. 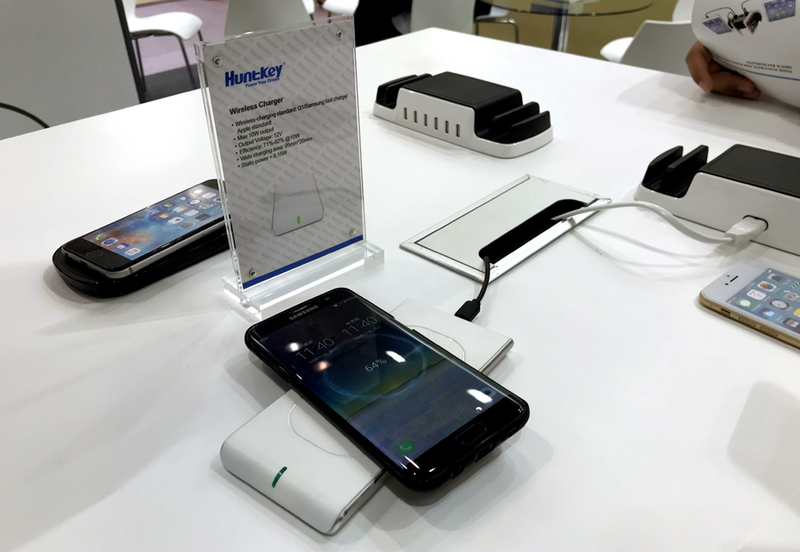 SHENZHEN, China, October 23, 2017 – Huntkey, a leading global home improvement provider, is showcasing its wireless charger and other interesting charging devices. These smart chargers, were on full display at the Asia World Expo in Hongkong. The Global Sources Electronics in Hongkong is one of the world’s largest electronics sourcing show. Huntkey attend the show as exhibitor every year to showcase its brand and products. As it announced at the Apple event, iPhone 8 can be charged without cables, wireless charging will be widely used on smart phones. There must be an increasing need for wireless chargers in the market. One of the buyer put his smart phone on the wireless charger to check its performance in the show, the phone shows charging state at once. The Magic Outlet is another attractive device in the show. Handy size and can be assembled to use are the most attractive advantages. 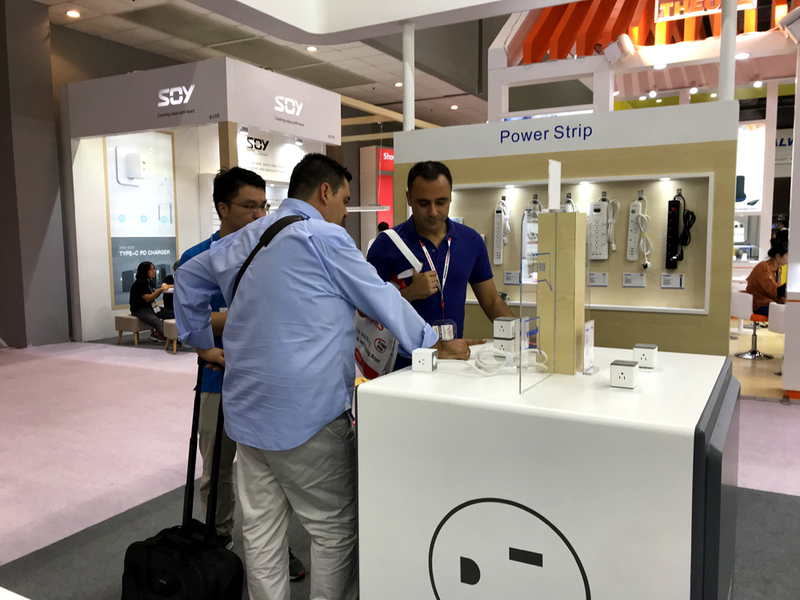 Besides the Magic Outlet and wireless charger, the smart charging station, world wide standard power strips are popular, too. Huntkey Group, founded in 1995 and headquartered in Shenzhen, is a member of The International Power Supply Manufacturer’s Association (PSMA) and a member of The China Power Supply Society (CPSS). With branch companies in the USA, Japan and other areas, and cooperating factories in Brazil, Argentina, India and other countries, Huntkey has specialized in the development, design, and manufacturing of PC power supplies, industrial power supplies, surge protectors, adapters and chargers for many years. With its own technologies and manufacturing strength, Huntkey has served Lenovo, Huawei, Haier, DELL, ZTE, Bestbuy and many other large enterprises for years, and has received unanimous recognition and trust from most of its customers.